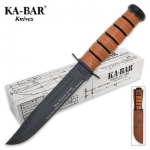 Military Knife and Bayonet Gifts. 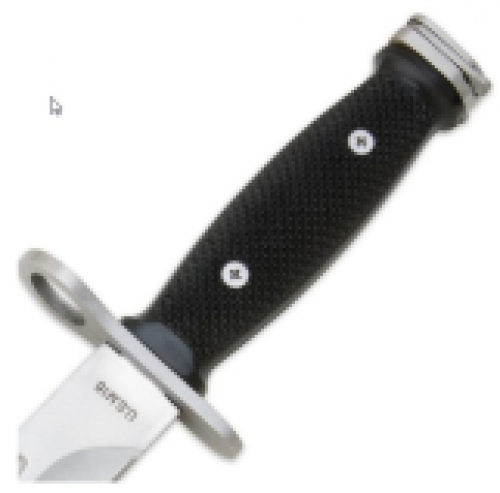 Choose from folding knifes, KA-BAR Knife and display, utility knives, or the Ames "Long Knife" Rifleman's Knife and the M-16 Tactical Bayonet Knife. We've just added Bowie Knives. 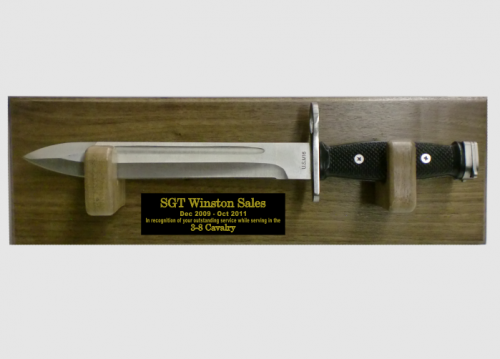 These Military Knives and Bayonets make great PCS Gifts, Hail and Farewell Gifts, or Retirement Gifts. We custom etch every knife we carry. 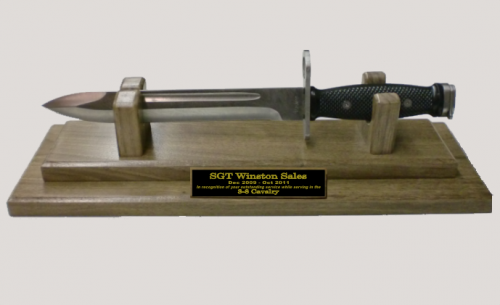 We display the Army KA-BAR knife on a solid mahagony stand with engraving plate. 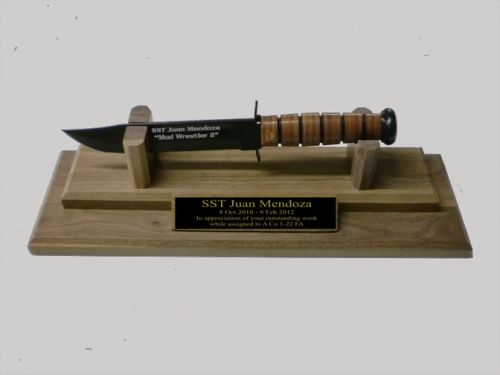 We display the Marine Corps KA-BAR knife on a solid mahagony stand with engraving plate. This Civil War era replica M1849 Ames "Long Knife" Rifleman's Knife features a 12" carbon steel blade, a wooden handle with brass cross guard, and leather scabbard with brass fittings. 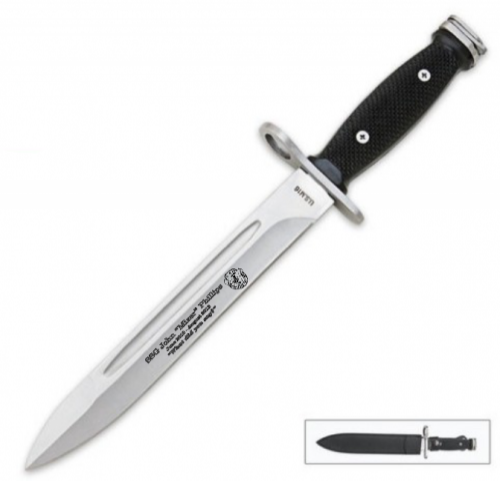 Ames "Long Knife" Rifleman's Knife - Overall Length: 19"
A new interpretation of the legendary Vietnam style Bowie, with impressive dimensions.